LIVESTRONG equipment is manufactured by Johnson Health Tech, is a core partner of the LIVESTRONG Foundation. This brand offer a complete line of home fitness equipment; including treadmills, Ellipticals and exercise bikes, and make the user find the perfect fitness solution for any budget for him or her. The company is based in Taiwan, as the Asia's largest, the world’s third-largest, and one of the industry's fastest growing fitness equipment manufacturers.The facilities which the company provides is counted among the most sophisticated in the industry, and we proudly operate as a vertically integrated company; every key exercise equipment component comes from one of our own facilities, giving us full control over how they're designed and built. In addition to LIVESTRONG, which is the integral part of the JHT family includes of some of the most respected brands in the industry, including Matrix, Vision, AFG and Horizon. They deliver products to high-end health clubs to specialty fitness retailers to sporting goods stores, and sold in over 60 countries. They are committed to produce those equipments which are based on innovation, superior value. LIVESTRONG has matchless customer service has made JHT a leading provider of high-quality home and commercial fitness equipment around the globe. LIVESTRONG Fitness products start from $799 dollars. LIVESTRONG provides a lifetime for motor and frame, 3 years parts and 1 year in-home labor for their products. Before outsourcing any fitness equipment part it thoroughly audit the manufacturer to ensure that every part works together. 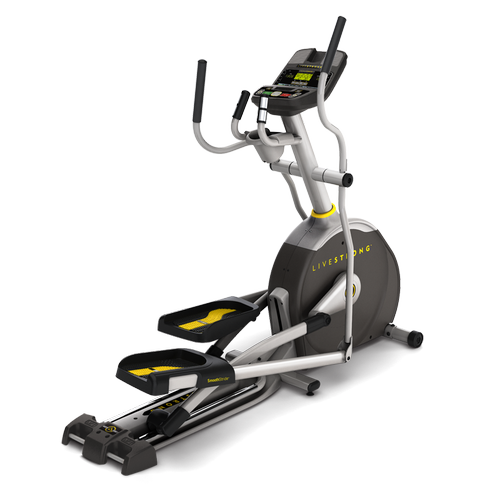 Livestrong fitness stand by the quality of its machines, and is proud to offer product warranties that rank among the industry’s strongest, as well as in-home service, scheduled at your convenience. LIVESTRONG has been fitness solutions for more than 30 years.